One of the authors who also writes for my publisher came up with a great idea for a blog series: "Furbaby Friday", a weekly post highlighting authors and their beloved furry writing buddies. I'm reposting my story to share here on my own blog...and I'd love to hear about the pets that enrich your life! I come from a long line of animal lovers, and growing up, we never had less than three pets at a time. Generally, in my adult home, that’s how many we still have, although we’ve occasionally had four. 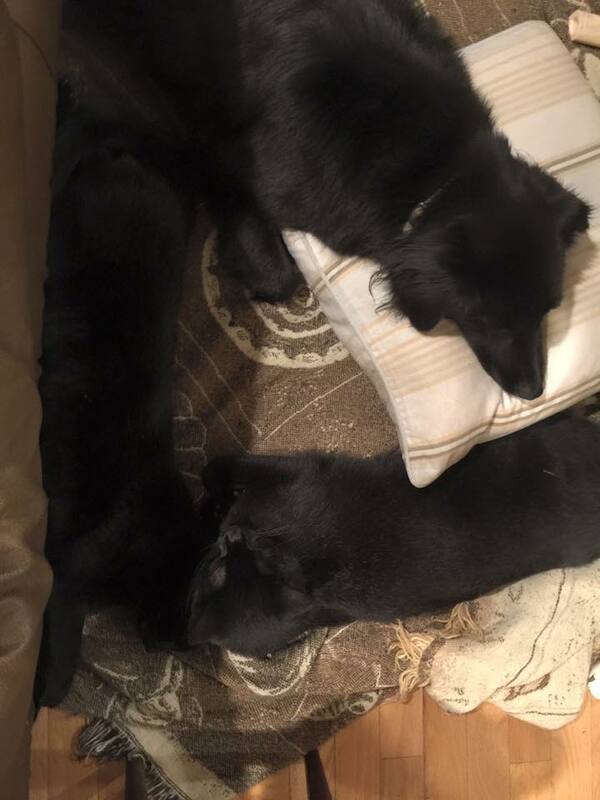 I’m passionate about rescuing shelter animals, so I try to balance my desire to “save them all” versus the reality of the size of our house, but right now we have two cats and one dog, and everyone gets along well. Otis came to us via PetFinder, a wonderful website that connects people looking to adopt a pet with animals available either in their area or even farther away, if transportation is available. When we found Otis, I was looking for a younger dog, since we already had an older dog at home. With two teenage boys and a husband who loves to jog long distances, we thought we would be a good fit for a more active dog that needed plenty of exercise. Otis at the time was a 6-week-old puppy, likely a Border collie mix, who was found by the side of a highway in Alabama, along with his brother and mother. A kind person brought them to a vet before they could get hit by a car, and from there, they made their way to foster care and were put up for adoption. Once our application was approved, Otis (and his brother, Milo) were transported to New England via an amazing tag team of volunteers who take turns driving animals from states with overpopulated shelters to states with room to spare or new families already waiting. As a puppy, Otis would nap under the stool I sit on at the kitchen island that serves as my writing desk. Knowing my tendency to lose myself in my fictional world, I would make sure a leash connected him to the stool’s leg so I would know he wasn’t sneaking off and getting into trouble. Apparently he’s smarter than I am, because he quietly chewed though three leashes to sneak off without me knowing. For the most part, socks, gloves, and papers were the only losses, but those were the puppy days of mischief and teething. 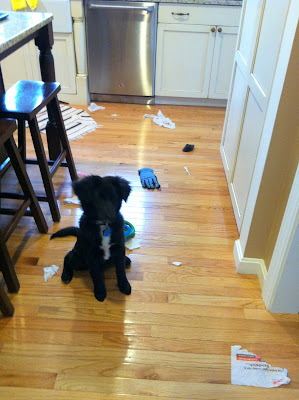 Now, Otis is a well-mannered and beloved part of our household. Our cats came to us via a local shelter. About a year after Otis joined us, our beloved 17-year-old cat passed away, 4 years after his brother. I was devastated. But I knew it was an opportunity to provide a forever home to some cats in need. I like to adopt cats who are already in bonded pairs, as they can sometimes be more difficult to place. And I particularly love black cats, which might be related to my affinity for all things considered spooky and mysterious. After all, I do write stories set in haunted houses. Jinx and Max are another set of brothers, littermates who shelter volunteers hoped could be adopted together. They keep each other entertained with their sneak attacks and their wrestling matches, and one thing they can agree on is that they’re always hungry. They know how to bring that to my attention, too—they take over my writing space if they feel I’m not getting the message.